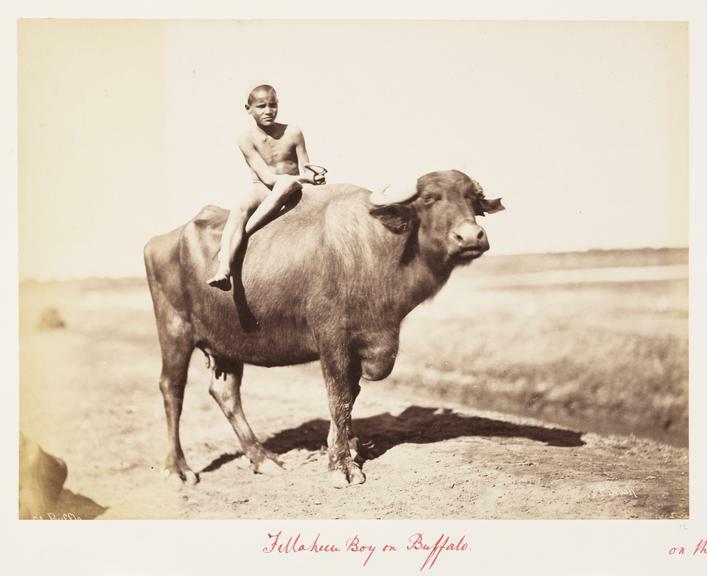 A photograph entitled 'Fellaheen Boy on Bison', taken by an unknown photographer in December 1882. This photograph is from an album entitled 'Algiers Egypt &c 1882-3'. The album was assembled by John Downes Rochfort (1825-1885), it contains a mixture of photographs of North African tourist subjects and views of Egyptian battlefields.